In this project for the Airdrie-Bathgate Railway Link project we demolished five overbridges and re-built four of them during a week-long blockade of the railway. 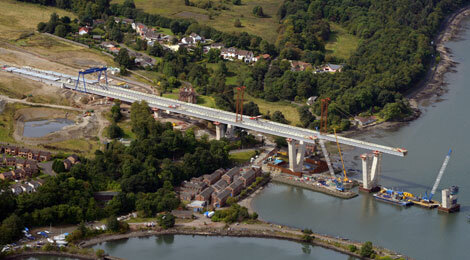 The largest and most complex of the projects was overbridge six in Gogar, Edinburgh. It involved substantial embankment works, masonry works, surfacing, utility diversions and the installation of containment parapets. A particular challenge was casting in-situ concrete wingwall units which involved extensive scaffolding and a challenging formwork arrangement.